Can biplot analysis help detect crossover interaction? The most important GE in agriculture is COI (Cornelius et al., 1993). In the absence of COI, GE is simply due to differences in scales, and the best genotype in one environment remains the best in all other environments. The usual AMMI2 biplot analysis does not distinguish COIs from non-COIs. A SREG1 biplot based on a constrained singular value decomposition (SVD) non-COI PC1 solution (Crossa and Cornelius, 1997) has been used to predict the absence of COIs based on earlier work on a rank-one shifted multiplicative model (SHMM1) by Cornelius et al. (1992). If the SHMM1 model is an adequate approximation to two-way GE data and the primary effects of environments (PC1 scores) are either all non-positive or non-negative, then the SHMM1 model has the two proportionality properties. First, differences between genotypes in any single environment are proportional to genotypic differences in any other environment. Secondly, differences between environments in terms of the performance of any single genotype are proportional to those of the performance of any other genotype. The second proportionality restriction is not required for assessing genotypic non-COI status and is removed in the SREG1 model. If the PC1 scores have different signs, SHMM1 and SREG1 biplots show the presence of COIs. The SHMM2 and SREG2 biplots of the first two PCs would represent the graph of non-COI variation (PC1) versus COI variation (PC2). Detection of COI using SREG (and SHMM) has generally been done within the fixed effect linear-bilinear framework. The approach proposed by Crossa et al. (2004) uses the fixed linear-bilinear SREG and SHMM models for constructing the clustering of environments and genotypes with non-COI, and subsequently uses a linear mixed model to test the statistical hypothesis of perfect genetic correlations between environments or genotypes within the subset. Yang (2007) recognized that in statistical analyses of METs, either genotypes or environments, or both, should be considered as random effects and, therefore, COI detection must consider that the difference between genotypic effects in a random environment is a predictable function that involves Best Linear Unbiased Estimators (BLUEs) as well as BLUPs. Burgueno et al. (2008) proposed an integrated methodology for: (i) clustering environments and genotypes with negligible COI based on results obtained from fitting FA to MET data; and (ii) detecting COI using predictable functions based on the linear mixed model with FA and BLUPs of genotypes. The authors were able to discriminate COI from heterogeneity of variances (HV). The advantages of this methodology are that: (i) it allows researchers to use a more realistic statistical model with fixed as well as random effects; (ii) the association among environments is taken into account and modelled; (iii) the association among genotypes is easily introduced (although it is not included in Burgueno et al., 2008); and (iv) the approach can be used with unbalanced and missing data. Fig. 14.1. Biplot from the factor analytic (FA(2)) model of maize grain yield data including nine genotypes (A, B, C, D, E, F, G, H, I) and 20 environments (1-20) (adapted from Burgueno et al., 2008). environments and genotypes based on the mixed linear-bilinear model, the final subsets of environments with negligible COI are subsets (1-3-10), (2-6-7-19-14), (4-5-169-17-20-15), (11-13-12-18), and the single-member subset (8), whereas the final subsets of genotypes with negligible COI are (A-B-C-G) and (D-E-F-I), with H as a single-member group. Results indicate that when one environmental subset or one genotypic subset was considered, no significant COI was found. When subsets of environments located in opposite quadrants of the biplot in Fig. 14.1 are combined, there is a greater increase in the number of significant COIs than when subsets of environments from the same quadrant of the biplot are combined (Table 14.4). From a breeder's perspective, it may be important to consider combining certain environmental subsets into one larger cluster that may better represent certain hypothetical target populations of environments. When environment (8) is combined with (1-3-10) (both subsets with negative loadings), no significant COIs are added, but when (8) is combined with (4-5-9-15-16-1720), the number of significant COIs increases to 12 (Table 14.4). Environment 8 is different from all other environmental subsets except subset (1-3-10). These results are in agreement with a plant breeder's main interest, which is developing genotypes with local as well as wide adaptation. This can be better achieved by stratifying environments (and/ or genotypes), which in turn increases selection gains at both regional and local levels. Regions and subregions may be better delineated based on COI and non-COI. This approach should be useful for finding potential new subsets of regions and subregions that could be affected by new climate change, drought and/or heat stress. 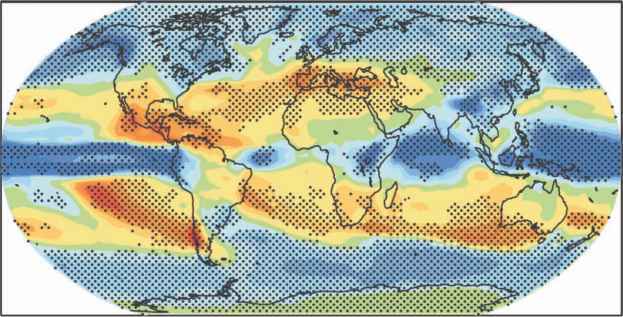 Since climate change is very dynamic and can be drastic year after year, data from successive METs in several years should be systematically analysed to find response patterns of genotypes to new environmental conditions. Table 14.4. Total number of tetrads among subsets of environments and genotypes, total number of significant tetrads, number (n) and percentage (%) of significant COI, and number (n) and percentage (%) of significant non-COI due to heterogeneity of variance (HV) (adapted from Burgueno etal., 2008). a Number of tetrads counted is within subsets of environments and genotypes when one environmental subset and one genotypic subset are considered and between subsets of environments and genotypes when two subsets of environments or genotypes are considered.